With our company,freezer repair Calgary service can be easy and stress-free! Dealing with broken refrigeration equipment can become a real hassle. If you want to avoid food wastage, call us as soon as you can. We are standing by to dispatch a skilled tech to assess your problem right away. 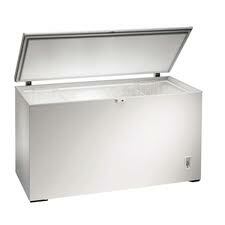 Each pro is backed with a vast experience in freezer repairs. No matter how major the task is, you can expect nothing but the most efficient solution for your needs. So don’t waste a single moment and dial our number now. We can’t wait to assist you! Freezers are some of the most crucial household appliances. They run non-stop, keeping your stock of food frozen for a long time. When any problem arises, try not to open the door until the tech arrives. With the help of modern diagnostic tools, the pro will quickly identify the issue and offer the most optimal repair options. By having a good number of spare parts on hand, the Calgary freezer service expert will do what it takes to complete the job in a single visit. Here at Appliance Repair Calgary, our goal is to help our customers keep their home assistants in top working order at all times. In addition to repair services, we can arrange routine freezer maintenance. The local pros are familiar with any and all types available out there. Whether you own a chest, upright or side-by-side model, the tech will make it run like a brand new! The Calgary freezer repair experts are here to assist you with any service you may need. From regular repairs to preventative maintenance, there is no job too big or too small for the local pros. So give us a call today to book an appointment in Calgary, Alberta. We would be glad to do business with you!